The below upgrades can be purchased from the staff on board on the morning of your tour, and cannot be pre-booked. 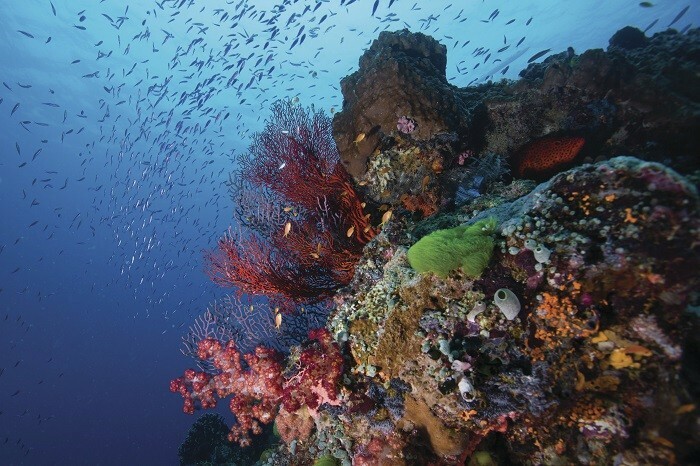 Our Great Barrier Reef Deluxe Tour is the ideal way to explore the fascinating serenity of the reef onboard a luxurious modern catamaran. Your journey begins with an hour-long venture from the Cairns Marlin Marina out towards the outer reef. Take the opportunity to take in the spectacular sights along the way. A BBQ bacon and egg roll with fruit platters, tea and coffee await you on arrival aboard our Great Barrier Reef Deluxe Tour. (We also cater for vegetarians. Please notify us of your dietary requirements when making your booking). 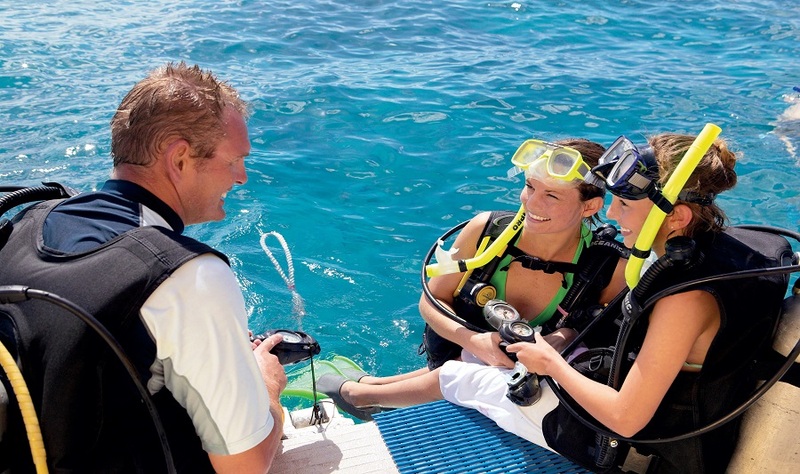 Whilst on route to the outer reef, an expertly run tutorial will take place, demonstrating how to use the snorkelling and dive equipment. 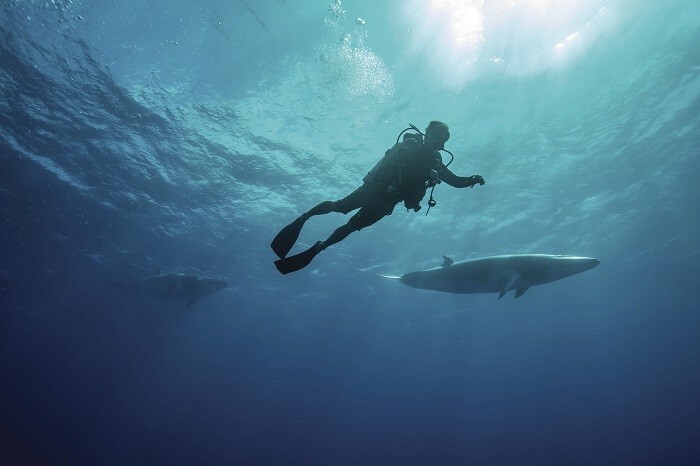 As well as this demonstration, all the safety components of the trip will be covered as well as a marine biology presentation. At approximately 9:30, you will arrive at the first site, which is decided on the day, according to the captain of the vessel. 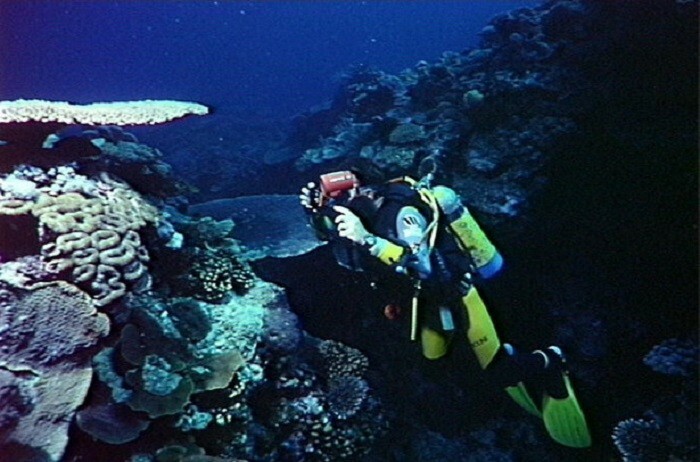 There are multiple reef sites which you may come across throughout your adventure, including Hasting Reef, Breaking Patches, Norman Reef and Saxon Reef. 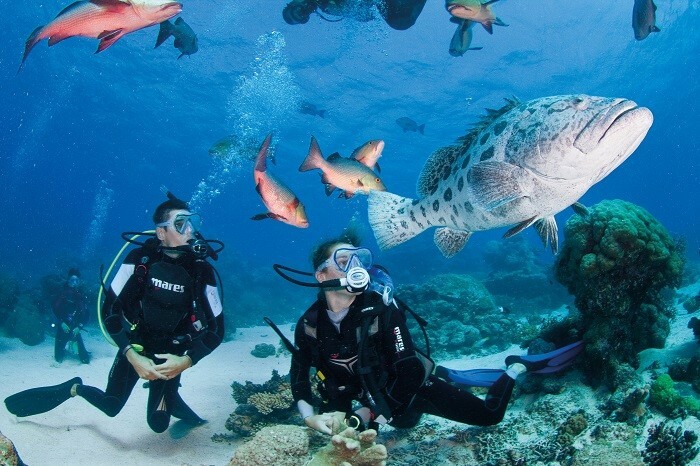 Each of these locations is breathtaking and offer the greatest snorkelling/diving experience. 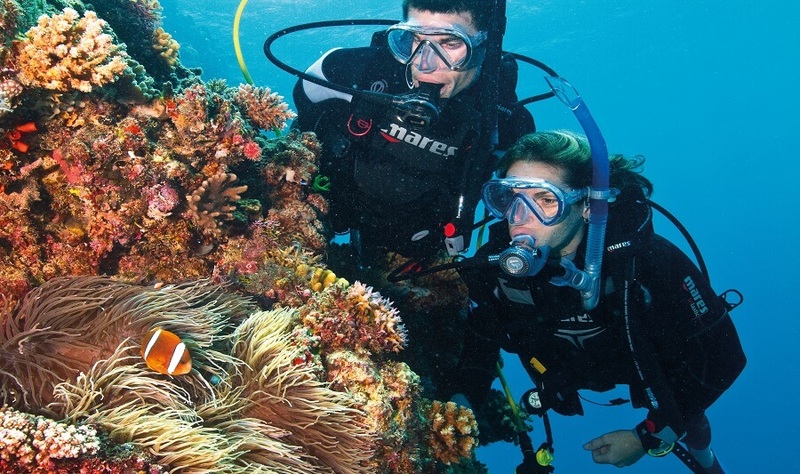 Once you have arrived, it is time to explore the fascinating wonders of the famous Great Barrier Reef. 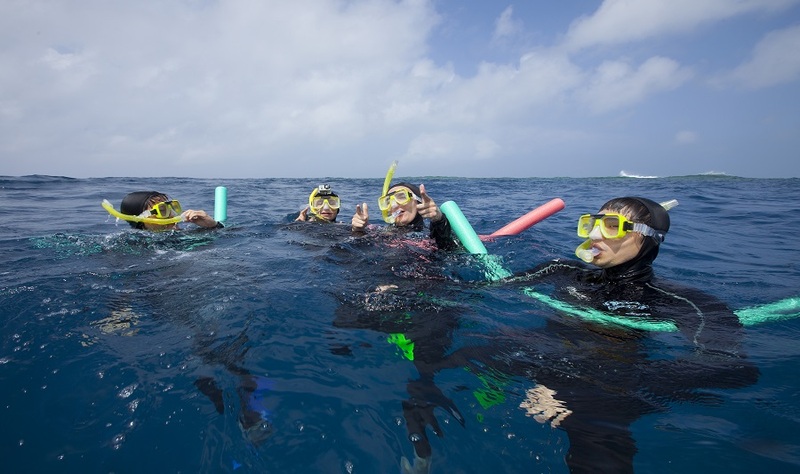 Take the opportunity to ride our Glass Bottom Boat (Weather permitting) and venture into the deep waters with either a beginner or certified dive (no experience required). 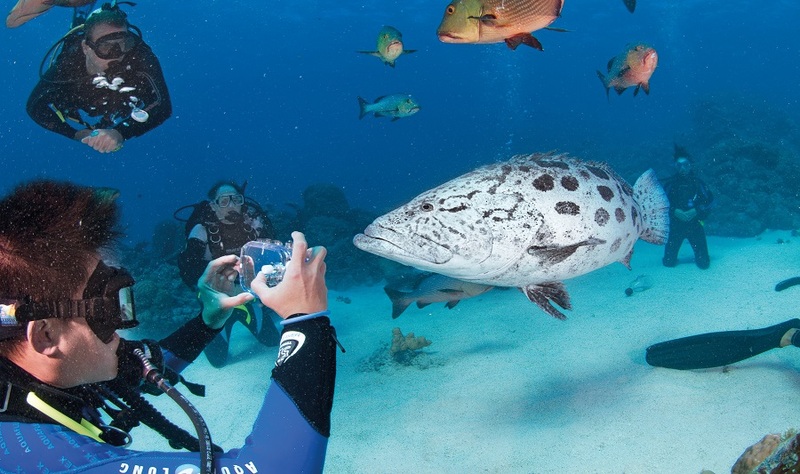 Your dive and snorkel experience in the crystal-clear waters will satisfy your needs, as you uncover the picturesque beauty of what lies below the surface. Around mid-day, take the opportunity to enjoy a BBQ lunch accompanied by various salads. Once again, we cater for vegetarians and offer veggie patties (Please notify us at the time of booking). From lunch, it is time to explore your second diving sight for the day, where you will have 2 hours to explore the charming waters. 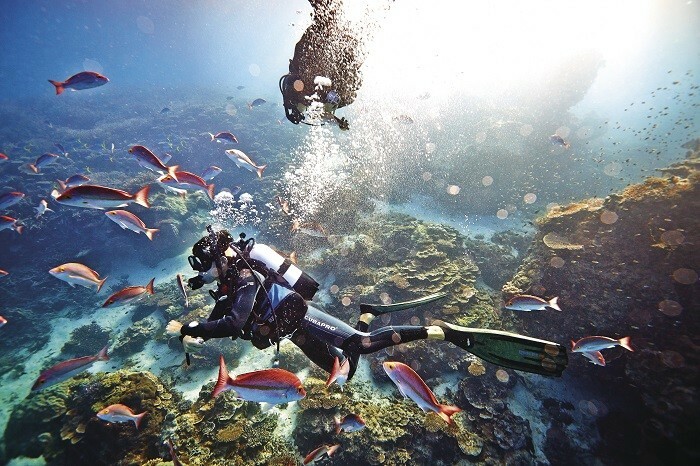 You can snorkel the reef, or upgrade to a second beginner or certified dive at your own expense. 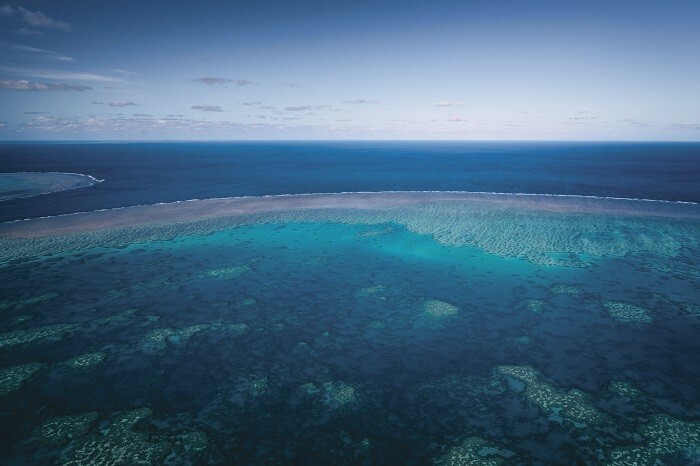 Your relaxing journey back to Cairns will be made even better, with a complimentary glass of wine with cheese and fruit platters, topping off a perfect day spent out on the Great Barrier Reef.